Android is one of the most popular and widely accepted mobile app development platforms today. Emerging as a revolution in the ever-growing Smartphone industry with rich features and smart technology, it has rapidly beaten its competition and has evolved as one of the most widely acceptable platforms for developing robust, interactive and engaging mobile applications. Today, some of the leading mobile phone manufacturers are considering Android as their operating system, providing a gamut of smart features and interactive experience for the Smartphone users. With this, the number of Android Smartphone users is rapidly increasing as more and more businesses introducing unique ways of using and benefiting from its smart applications. 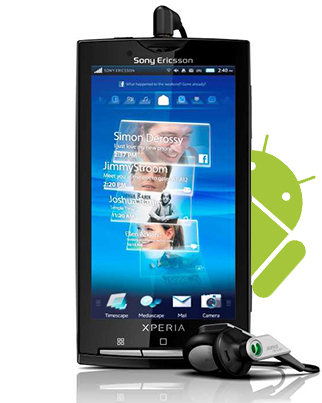 Do you want to join the revolution of Android applications? In fact, you cannot afford to lose the ever-growing market for Android Smartphone users and the best way to target them is with professional Android application development. eTraffic Applications is a leading Mobile apps development company, building highly intuitive, interactive and functional applications that meet your core business requirements. We have an expert team of highly talented Android app developers who are capable of creating custom applications that accommodate your expectations within one single yet comprehensive solution. Android Apps Development: eTraffic Applications provides comprehensive Android app ranging from simple business applications for medium and small enterprises to more robust and intricate programs for large organisations. Android Games Development: Android SDK is the best platform to build interactive and exciting games for more than hundred portable devices. Our professional team at eTraffic Applications has the expertise to create intuitive and engaging games for Android mobile. Android Web Development: eTraffic Applications pioneers in Australia's IT industry, offering custom Android web development services across different platforms. In addition to these, we specialise in delivering professional and reliable services in developing business applications, social app, eCommerce applications, productivity application, ECommerce and leisure apps, and much more. The applications built by our expert Android app developer feature cross-screen User Interface, cross-version compatibility, and cross-enterprise security, ensuring that the applications can be used across any Android portable device. At eTraffic Applications, we possess the skill and technical expertise to build interactive and powerful applications for Android. The open source operating system provides us the splendid platform to design and develop applications that are compatible to all types of Android devices. Yes; cross-version compatibility is a key feature of Android applications developed by us, ensuring your app will be viewed best, irrespective of the Android operating system version your target customers have. Moreover, we build the applications with such intricacy and dedication so as to create an unmatched User Interface that is best experienced across a wide variety of screen sizes and density. Catering to the distinct needs of our clients across different industries and functionalities, we create Android applications that are high performing and delivers unmatched user experience and satisfaction. Our applications are strategically built to be intuitive, interactive and engaging that drive increased traffic, enhancing your brand awareness and recognition. At the same time, we build custom Android applications that specifically meet all the requirements of our clients in a single solution. If your application is not user friendly and cannot connect with your customers instantaneously, you have wasted your time and money. The very essence of mobile or web applications is user friendliness that drives traffic. At eTraffic Applications, we build Android applications that are strategically user friendly, enhancing their experience and level of satisfaction. With creative User Interface and easy-to-navigate features, we strive to make your application more acceptable to your targeted audience. With millions of Android applications flooding the mobile and web industry, obviously you won't want something that is a replica of another app. Our Android applications are built around unique and 100% original ideas, ensuring that your customers are experiencing such an application for the first time. Regardless of the sector or your key services, we make sure that every application we build is unique, compelling and engaging, driving increased traffic and recognition. All our applications are thoroughly tested for 100% quality assurance before being delivered to the clients. We have a team of experienced QA experts, who will conduct comprehensive quality check across every stage of project implementation, ensuring to deliver superior quality and reliability to our clients. Our professional and intuitive Android applications are strategically designed to be compatible to all Android mobile devices, ensuring cross screen UI, cross version compatibility, and cross enterprise security. Hiring expert at eTraffic Applications guarantee an excellent value for money, delivering great results that you expect. To learn more about our services, please call us at 1300-887-151 or write to us at info@eTrafficapplications.com.au for further inquiries.